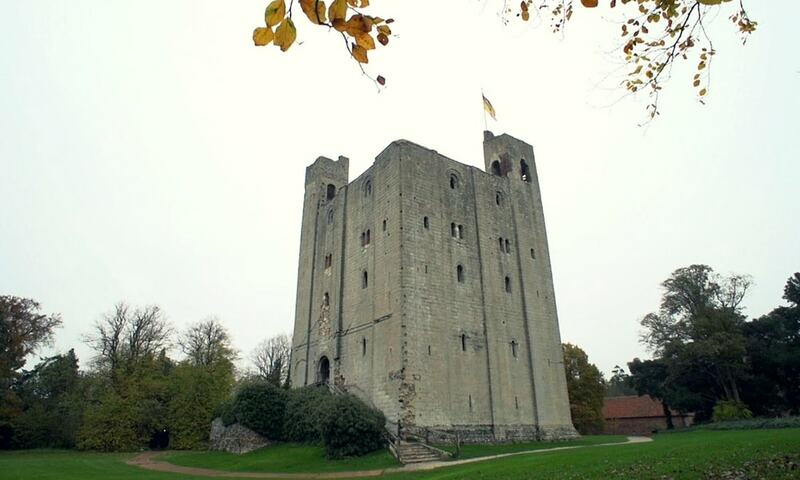 Hedingham Castle is arguably the best preserved Norman keep in England. The castle fortifications and outbuildings were built around 1100, and the keep around 1140. However, the keep is the only major medieval structure that has survived, albeit less two turrets. Hedingham Castle may occupy the site of an earlier castle believed to have been built in the late 11th or early 12th century by Aubrey de Vere I, a Norman baron. Hedingham was one of the largest manors among those acquired by Aubrey I. The Domesday Book records that he held the manor of Hedingham by 1086, and he ordered that vineyards be planted. The castle was besieged twice, in 1216 and 1217, during the dispute between King John, rebel barons, and the French prince. In both cases the sieges were short and successful for those besieging the castle. The castle changed hands several times in the next centuries. Today, Jason Lindsay, descended from the de Veres, and his wife Demetra live at Hedingham Castle with their children. The Norman keep and grounds are open to the public from Easter to October. Educational school visits take place throughout the year. The castle is also a venue for a range of events, including jousting, archery, falconry, re-enactment battles, fairs, classic and vintage car shows, music concerts and theatre productions.